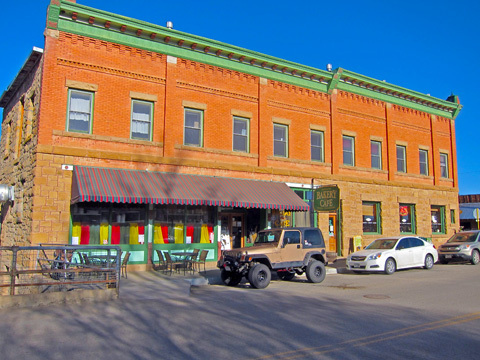 That's my Jeep parked in front of the Absolute Bakery and Cafe in Mancos, Colorado. Operated by some old hippies, the food is all natural and all yummy. I always go out of my way to drive to this little town where their century old building is next to a cold mountain stream. Mancos with an elevation of 7,000 feet, is always chilly first thing in the morning but their fresh ground, all natural coffee will get you warmed up right away. Get there early for the breakfast of your life!